To the average carnivore, the term “vegetarian burgers” just seem like an oxymoron. The very heart of a good burger is a thick, juicy meat patty still pink in the middle, and to swap that out for more lettuce, dry soy, or a sad square of mock meat seems criminal. Even the staunchest vegetarian will have to agree that the local plant-based burger landscape is lacking quality options. Thankfully, Mezza9 at the Grand Hyatt has stepped in to rectify this dearth by serving up the Beyond Burger in the restaurant. The Beyond Burger has gotten tons of hype online recently, because it is an entirely plant-based patty that looks, tastes, and cooks like meat. Made with pea and beetroot protein, this vegan-friendly alternative is indistinguishable from its animal counterpart. To make it even better, there are no artificial hormones added to the mix, and all patties are cholesterol free. The Modern Asian Burger set. 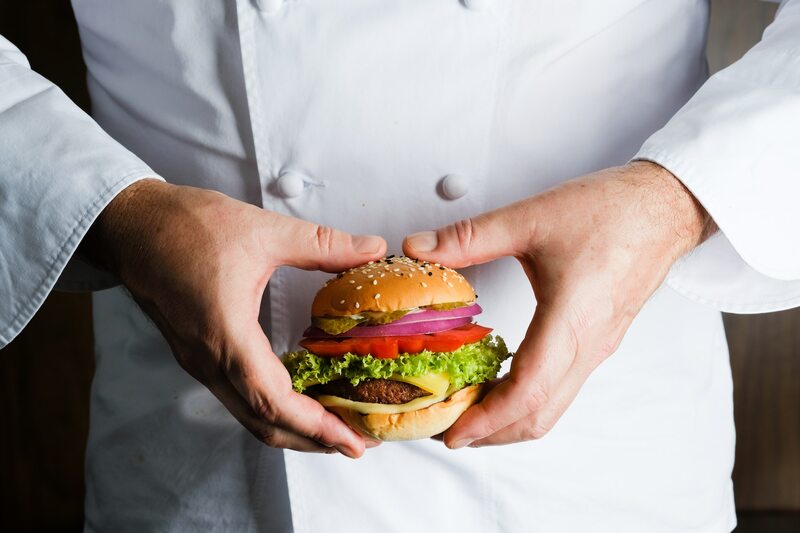 The patty is interpreted as both classic American and Asian-style burgers by Executive Sous Chef Martin Satow. For traditionalists, order the classic cheeseburger, where buttery brioche buns hug the meaty Beyond Burger patty, dressed with vegan mayonnaise and cheddar, as well as pickled gherkins for some bite. Gourmands looking to try something new can get the modern Asian burger instead, which comes with spicy Sriracha sauce, pickled daikon and ginger, and furikake seasoning, all sandwiched between homemade corn buns. The Classic Cheese Burger set. A burger is not complete without sides, so choose from the usual french fries, or from healthier options like organic ancient grains, crispy cauliflower or steamed broccoli to go with your quarter pounder. Whether you’re a sceptical omnivore, vegetarian or vegan, the plant-based burgers at Mezza9 beat having a salad any day, no question. The burgers are priced at S$25++ each with a side dish, available for lunch and dinner.